Concerns (complaints) about the quality of writing exhibited among seminary students are not new. Nor is the fact that many students come to seminary as a second career, or with backgrounds in disciplines that do not emphasize extensive scholarly writing. However, in an era of reduced enrollment, when recruitment and retention are of existential significance for seminaries, the traditional “sink or swim” approach that presumes students will “learn as they go” (or not) seems increasingly inadequate. Given the centrality of writing to academic success in seminary, helping students develop as writers is an essential component of providing academic support, thereby ensuring that students are prepared to pursue their vocations. 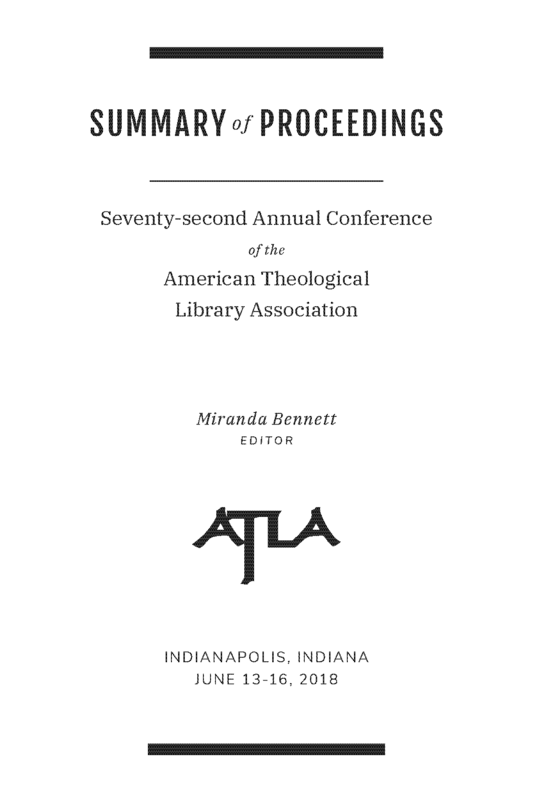 As seminaries face budgetary challenges that may preclude offering writing support, and as the role of librarians is changing, we have an opportunity to expand our traditional role of supporting students. Join presenters David Schmersal, Jane Elder and Melody Diehl Detar as they share some of their experiences in extending writing support to seminary students at Perkins School of Theology and Regent University.